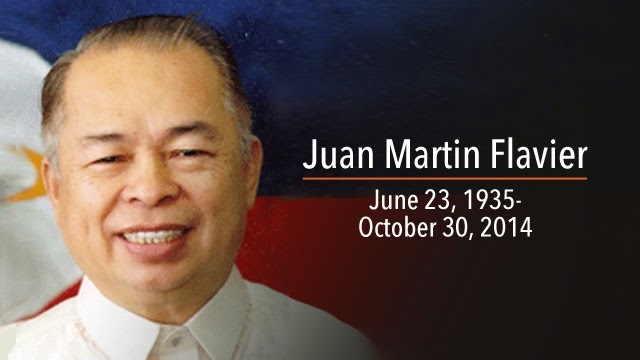 I watched the news last night and it saddened me upon learning that former Health Secretary and Senator Juan Flavier passed away at the age of 79 because of multiple-organ failure due to complications of pneumonia. The respected ex-Senator started his political journey when he was appointed as the Secretary of The Department of Health (DOH) under President Fidel Ramos’s term in 1992, He was widely recognized by his famous slogan of “Let’s DOH it,” inculcating the positivity of the let’s-do-it attitude when it comes to health. He also implemented a stricter anti-tobacco measures which led to the program known as “ Yosi Kadiri”. He was a great advocate of public healthcare systems given his medical experiences as a doctor of rural communities. He served the position before he ran for and won as senator in 1995. He was re-elected in 2001 and served until 2007 tagged as the “People’s Senator” as favored by the public because of his administrative efficiency, sunny disposition, political insights and humor. Short as he is at 4’11”, ex-Senator Flavier’s dedication and efficiency in serving the people made him a giant in the Upper House. During his Senatorial term, he authored a lot of acts and legislation laws such as the Anti-Money Laundering Law, Poverty Alleviation Law, Clean Air Act and Traditional Medicine Law. One of his campaigns is the reproductive health program that promote contraceptives which were greatly opposed by the Catholic Church. The ex-Secretary retired from public service on 2008 although remained as a trustee on the board of Philhealth and the SM Foundation. He was confined in the National Kidney Institute starting September 11 and was in the said hospital's intensive care unit until his death on Thursday. According to ABS-CBN news “Flavier's remains will be brought to the Church of the Risen Lord inside the University of the Philippines Diliman campus Friday morning, where they will stay until Monday afternoon. Cremation will follow Monday evening”. The family discourages people from sending flowers but rather said that they will announce a charity where they can donate. Personally, I admire the Former Senator Flavier as a good person and a true public servant and I will say that growing up, he in a way influenced my perception about what good leadership is, and of cultural and spiritual values as I was an avid reader of his column in the Manila Bulletin entitled "The Barrio Breeze" that featured mostly parables about appreciating life and its simplicity and staying deeply rooted in the ground. My sincere condolences to the family of the Former Senator Flavier, his notable legacy will always be remembered.